POLICE have seized more than $100,000 in drugs destined for Gold Coast drug syndicates and made more than 30 arrests ahead of annual Schoolies celebrations. As part of Operation Quebec Persia, police arrested 31 people on 119 charges for their alleged involvement in the supply and trafficking of methylamphetamine, cocaine, MDMA. LSD, cannabis and performance and image enhancing drugs. Police Minister Mark Ryan said the seizures were significant with just days before teenagers from around the country flock to the Glitter Strip. 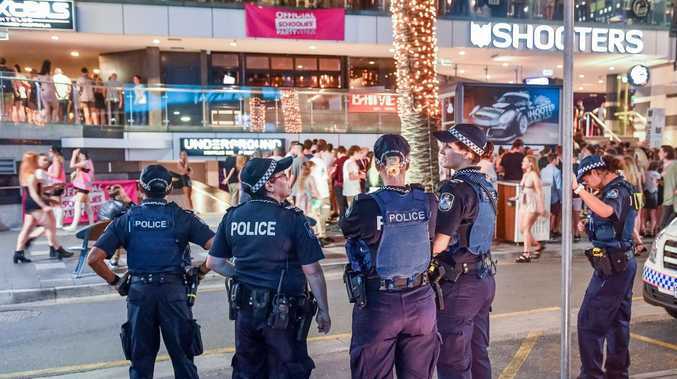 "It is very concerning these networks were planning to target the Gold Coast which will be overflowing with vulnerable youth from this weekend," Mr Ryan said. "However, I know our police remain committed to protecting all communities across Queensland from the greed-driven networks who seek to infiltrate them with life endangering drugs." Detective Superintendent Jon Wacker of the Drug and Serious Crime Group said the operation was by officers from State Crime Command's State Drug Squad in partnership with Gold Coast detectives and the Rapid Action Patrols Group. "During the five-month police operation it was identified the drugs were being supplied via internet applications and distributed into the Gold Coast market using local syndicates," Detective Superintendent Wacker said. "This operation demonstrates the Queensland Police Service's commitment to combating the production, distribution and sale of dangerous and illegal drugs across the state." Gold Coast District Acting Superintendent Mark White said operations like these show the collaborative borderless policing approach necessary to target and dismantle dangerous drug activity on the Gold Coast. "Our commitment is to protecting our community from the scourge of drugs and bringing those people involved in the illegal drug trade to justice."